The flagship phone by the new Xiaomi sub-brand, the Poco F1 is scheduled to receive a discount of Rs 5,000 between December 6 and December 8. This discount will be available for the customers purchasing the phone through Mi official, Mi.com online store and Flipkart.com. The Poco F1 is one of the highly revered phones as it offers flagship-level performance with a very light price tag. The phone packs the top-end Qualcomm Snapdragon 845 SoC and retails with a starting price range of Rs 20,999. There are also variants with 64GB, 128GB and 256GB internal storage. The RAM on the device is a 6GB or 8GB memory stick, and the company has also launched a variant with real Kevlar finish with a price tag of Rs 29,999. Poco India took to Twitter to reveal about the new discount which is going to be live for the Poco phone between December 6 and December 8. Also, the dates described by the Poco India handle coincide with the dates of Flipkart’s Big Shopping Days Sale which will be kick-started on December 6. As per the tweet, the Poco F1 will retail on Mi.com and Flipkart.com with a Rs 5,000 discount, and we expect it to be part of a flash sale. The base variant of the Poco F1 with 6GB+64GB storage will retail at Rs 19,999, the 6GB+128GB variant costs Rs 21,999 and the premium 8GB+256GB option can be picked up for Rs 25,999. On top of this, users can additionally avail a discount of 10% using HDFC Debit, Credit cards. The Poco F1 runs MIUI 9.6 out-of-the-box based on Android 8.1 Oreo. However, the phone has now received the Android 9.0 Pie-based MIUI 10 Global Beta ROM this month only. The device sports a 6.18-inch Full HD+ display with a 1080×2246 pixels resolution. The screen is also protected with a 2.5D curved Gorilla Glass 3. Speaking of performance, the phone packs the Qualcomm Snapdragon 845 SoC, which comes accompanied by 6GB and 8GB RAM options. On the camera and imaging front, the phone comes with a 12MP Sony IMX363 primary sensor which also comes with 1.4-micron pixel size and dual-pixel autofocus and a secondary sensor of 5MP. The front snapper on the phone is a 20MP sensor which also comes enabled with HDR and AI Beautify features. The Face Unlock feature on the phone depends on IR light and offers smooth and reliable security. Additionally, the Poco F1 comes in 64GB, 128GB, and 256GB internal storage options with the option of expansion via a microSD card up to 256GB via a hybrid SIM slot. The connectivity options on the phone include 4G+, VoLTE, Wi-Fi 802.11ac, Bluetooth v5.0, USB Type-C, and a 3.5mm headphone jack. There are also sensors like accelerometer, ambient light sensor, digital compass, gyroscope, and proximity sensor. The phone packs a 4,000mAh battery which comes with support for 18W charging and Quick Charge 3. The entry-level price tag for the Xiaomi Poco F1 is Rs 20,999 for the 6GB RAM/ 64GB internal storage variant. On the other hand, the 6GB RAM and 128GB internal storage variant of the phone has been priced at Rs 23,999, while the 8GB RAM and 256GB storage variant bears a price tag of Rs 28,999. 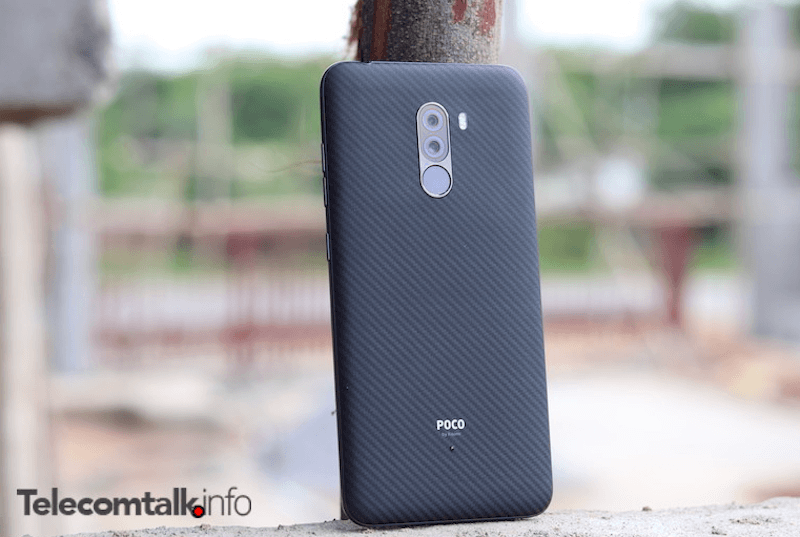 The Poco F1 comes in the colour options of Rosso Red, Steel Blue, and Graphite Black colour. There is also an Armoured edition of the phone with ‘real Kevlar’ which retails for Rs 29,999. Great deal in my opinion for higher variants. They launched POCO a bit late in my opinion.